quotes from around the web. 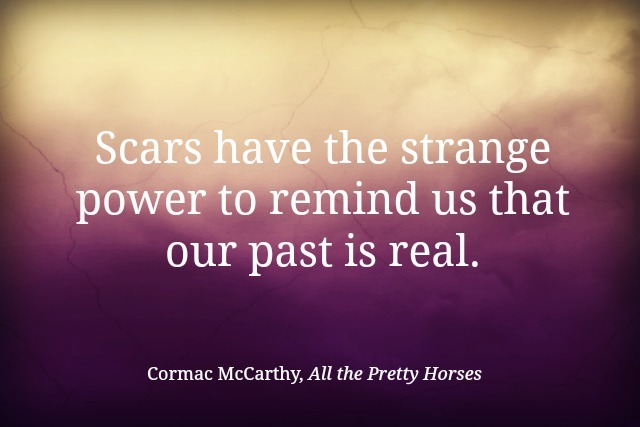 Happy early birthday to one of the world's most celebrated and talented authors, Cormac McCarthy (born July 20th)! Known for his dark, realistic and sometimes disturbing novels, McCarthy has been awarded the Pulitzer Prize (for The Road) and has had several of his works adapted to the big screen including Academy Award winner No Country for Old Men as well as The Road and All the Pretty Horses. The notoriously private McCarthy may not appreciate a Steph's Stacks birthday bash in his honor, but perhaps we could all read one of his novels instead. I'm off to re-read The Road right now!